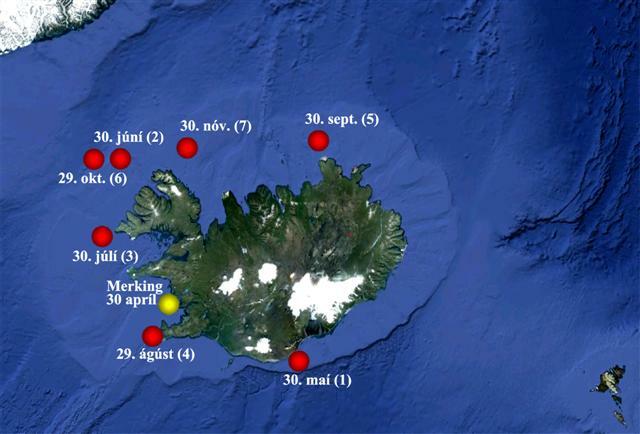 Movements and migration behaviour of common wolffish (Anarhichas lupus) were studied in Fjord Hvalfjordur W-Iceland throughout June 2010 – March 2012. Sampling on the geographical distribution and depth of the wolffish during their stay in Hvalfjord was carried out by tagging fish in June 2010 and May 2011. 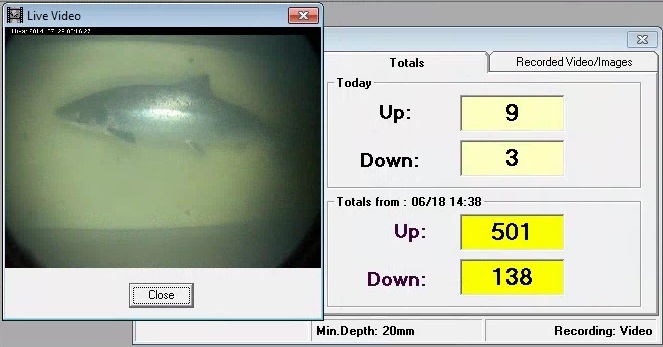 Using ultrasonic transmitters and by monitoring by logging the dwelling of those fish within detecting area of stationary listening stations throughout the fjord area. Main aim of the study was to map the movements and migration patterns of wolffish in infjord area in relation to time of the year and environmental factors. 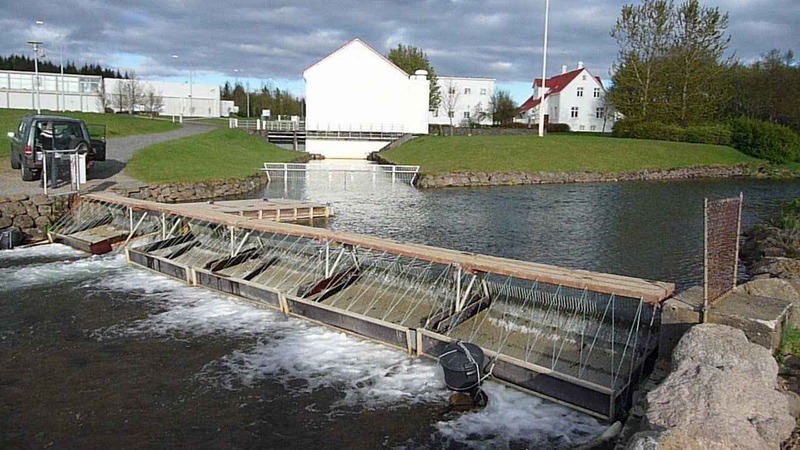 In a study on Atlantic cod using pop-up satellite tags (PSATs), carried out by Johannes Sturlaugsson and colleagues at the research company Laxfiskar (Cod PSAT Research Project), one of the cod was eaten by whale. That gave remarkable insight into such event but moreover changed the study on that cod behaviour ecology into study of whale behaviour. 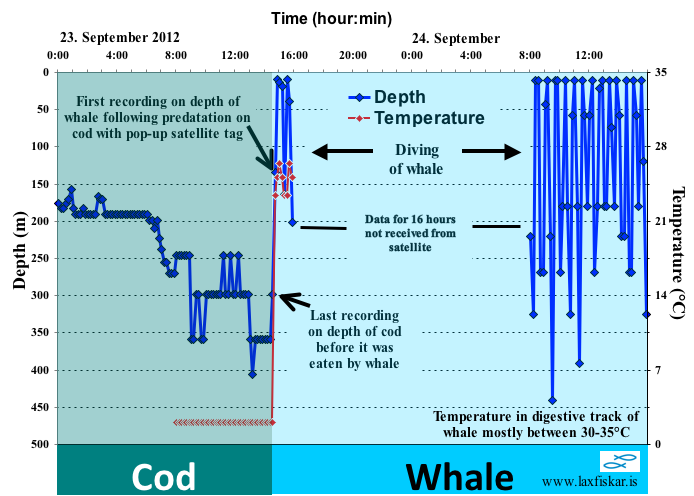 The cod had carried the PSAT for nearly 5 months and was at 300m depth in cold sea (2.1°C) in Icelandic waters when eaten by the whale as shown in figure.